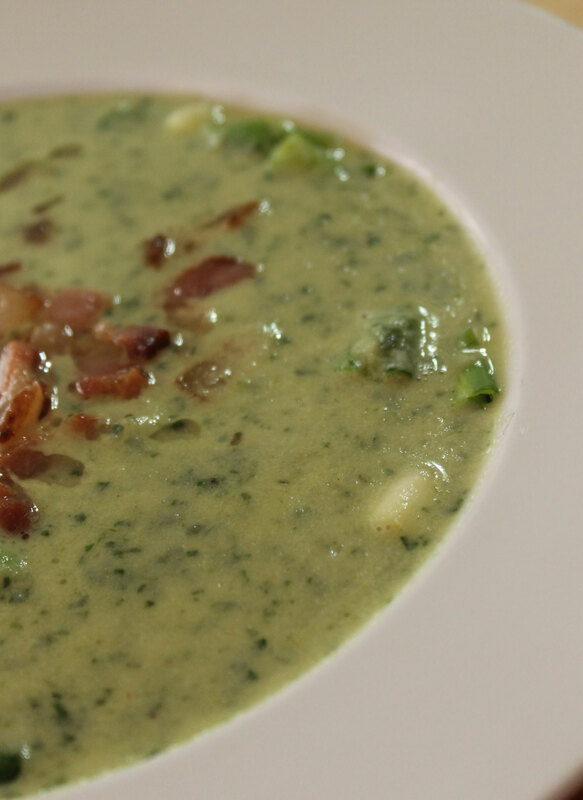 This is a lovely soup. 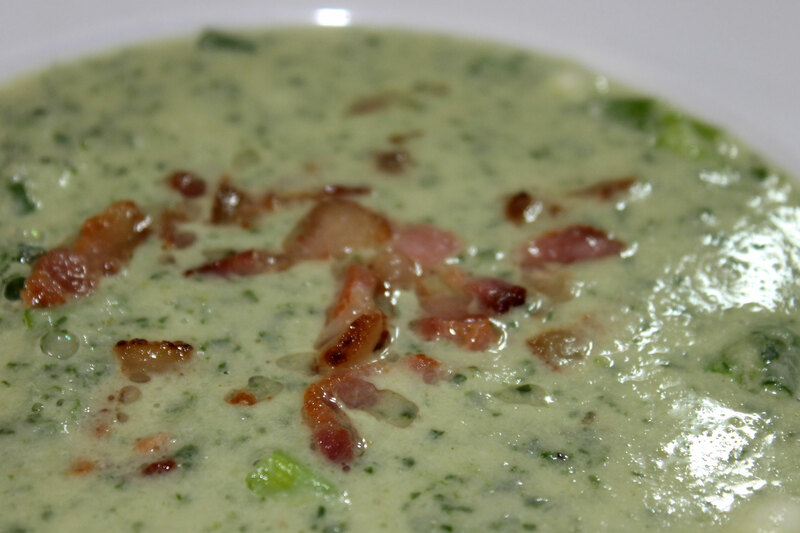 The cauliflower gives it a mild creamyness, the spinach packs a nutritional punch and the bacon… well lets face it, everything is better with a little bacon! 2 large handfuls of spinach – washed. Place the bacon in a large, heavy pan and cook it over a medium heat until crispy. You do not want the heat too high as you want to render out as much of the bacon fat as you can. Remove the bacon, leaving as much fat as possible behind and set it aside. Add the onion and garlic to the bacon fat and cook it gently over a low heat until the onion is soft and translucent. This will take about 5 minutes. Now add the cauliflower and the bone broth and bring it to the boil. Reduce the heat to a simmer and cook for aprox. 20 minutes until the cauliflower is tender. Add the coconut milk and spinach and cook for a few moments to wilt the spinach leaves. Puree with a stick-blender and season to taste with cinnamon, salt and pepper. 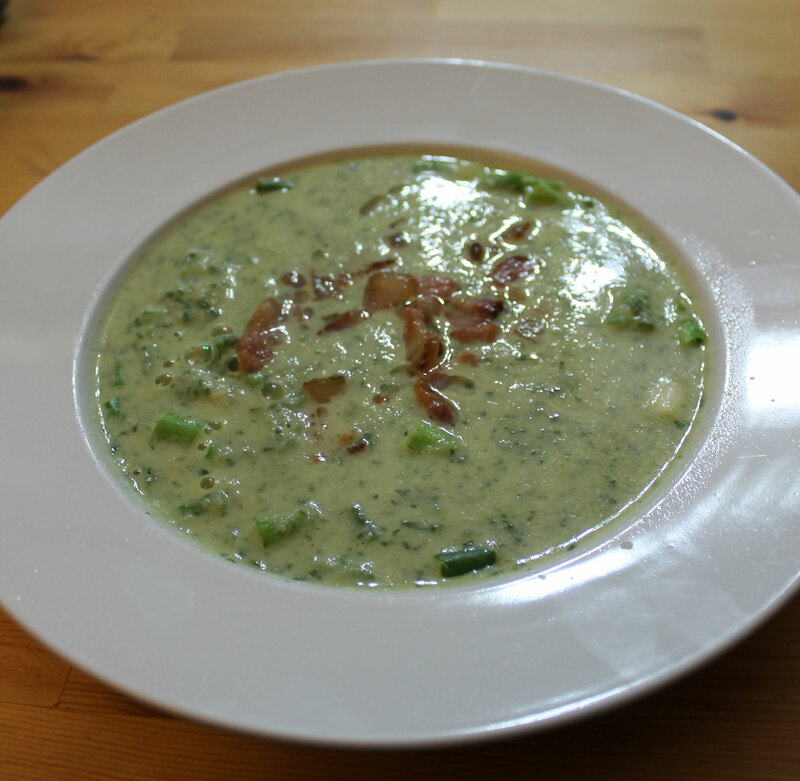 Stir in the green onions to give the soup a little texture. Reheat gently but do not allow it to boil. 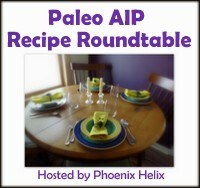 This entry was posted in Recipes and tagged bacon, creamy, gluten-free, grain-free, healthy, low carb, paleo, primal, soup. Bookmark the permalink.